You are at:Home»Air Conditioner»Air Conditioner Not Working? Air Conditioner Is Not Working? Is the air conditioner in your house not working? Are you wondering if you should replace or repair your central air conditioner unit? The choice of replacing your air conditioner rather than repairing your air conditioner is a choice many homeowners will be making in the next few years. There are many factors to take in consideration when deciding. The first is refrigerant Prices -There are several big changes going on in the air conditioning industry that will drive higher volumes of replacements in the coming years. In the past, many homeowners have had their system “topped off” with refrigerant each year due to minor leaks in their system. Last year alone the prices of R-22 doubled or even tripled in some locations. Expect the price you received last year to be doubled again this year. The R-22 price increases will continue as the phase out of R-22 production and import completely by the year 2020. You will still be able to find R-22 reclaimed and recycled but expect to pay a lot more than what you will pay today. So the question becomes, should I repair or replace my aging R-22 system? When considering this question focus on these major decision points: 1) new air conditioning system prices, 2) air conditioning system life expectancy, 3) air conditioning system energy efficiency rating, and 4) air conditioning system maintenance costs for your old unit. Although this is not an exhaustive list, these are the top considerations that must be included to make a decision right for you. Let’s look at costs of new air conditioning systems first. A new air conditioning system price will be influenced on several factors, a) type, b) brand, c) efficiency rating, d) and the installing company’s price structure. The first three are easy enough to analyze: Name brands will be higher priced, higher efficiency models will be more expensive and bigger units will cost more due to their manufacturing costs. The final factor, the installation company’s price, is much harder to evaluate. Each company will have a unique pricing structure based on the cost of their labor and their overhead costs. The average life expectancy of a home air conditioner is between 8 and 20 years. If your air conditioning system has been maintained by a professional and you have religiously changed your air filters, you may have a system that has a much longer life expectancy. On the other hand, if your air conditioner has not been maintained properly and the filters were not regularly changed, your air conditioner may have a very short life expectancy of around 8 years. So depending on where your air conditioner falls, you may be ready for a new air conditioner soon. Check out our air conditioner maintenance plan. System Energy Efficiency Rating (S.E.E.R) is a measure of how efficiency your air conditioner operates. 10-15 years ago the industry was installing 10 SEER units. Today the minimum SEER rating is 13 but units are available up to 20 SEER or higher. It is important to note that some energy companies and governments may be offering rebates or incentives when you purchase or replace an older low SEER air conditioner with at least a 15 SEER new air conditioner, helping to offset the installation costs. What the SEER rating means to you is that if you have a 10 SEER air conditioner and replace it with a 15 SEER air conditioner with the same capacity, you will use 33% less energy to cool your home at the same level as the older air conditioner. That is a huge savings in your utility bill. This savings should be factored in to the decision-making process. Finally, the continuing cost of air conditioner repairs. When considering the repair costs, we also have to factor in the age of the air conditioner. 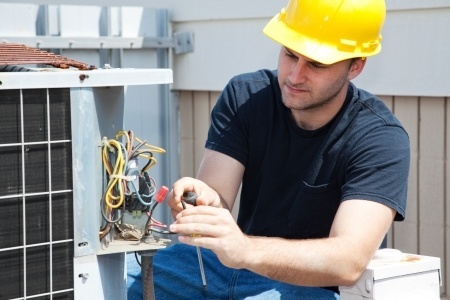 An air conditioner nearing or exceeding its life expectancy will have more frequent repairs. And older systems will have higher parts costs and become more difficult to find as those parts are phased out by the manufacturer. If you have an old system, you mill likely have problems with the more expensive parts such as fan motors or compressors as they too near the end of their useful life. Consult a reputable and experienced air conditioning company for recommendations and quotes. Be sure you check out their reputation before you commit to any new installation. The quality of the air conditioning company will also play a significant role in the life expectancy of the new air conditioner. And keep in mind that the air conditioning company has the incentive to sell you something that benefits the air conditioning companies the most by either suggesting equipment that makes them the most money or suggestion purchases that are not yet necessary. It is really important that you do your homework. Frank Alexander is an experienced engineering professional who holds a Master of Engineering degree from North Carolina State University and an MBA from the University of South Carolina. 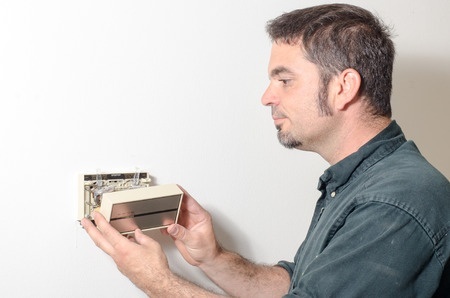 Frank holds licenses in both residential and commercial HVAC, and holds a limited electrical license. Frank is also NATE certified.